On 30th October 1883 a dozen or so ladies and gentlemen, who had been called together by circular letter, met at the home of Mr Patrick Kidd, 25 Hill Road. 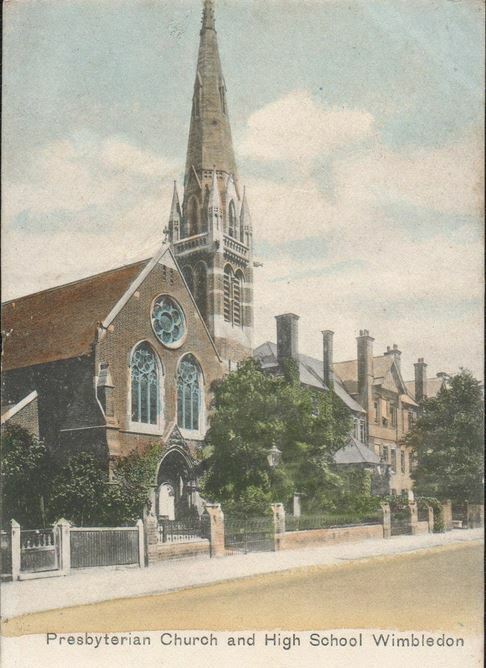 It was decided that the time was right to form a ‘Scotch Church’ in Wimbledon and a deputation was appointed to approach the Presbytery of London who, in due course, appointed a sub-committee to visit the town. As a result a ‘Preaching Station’ was formed by Presbytery and this was named ‘Trinity Presbyterian Church’. The use of the Drill Hall in St George’s Road was secured for Sunday and Thursday evening services and on Sunday 6th January 1884 the opening services were held, conducted by Revd Dr William Wright and Revd Dr Monro Gibson in the morning and evening respectively. On 28th May 1884 a Sunday School was started. The status of the infant church was raised to ‘Sanctioned charge’ which meant that it could call its own minister. 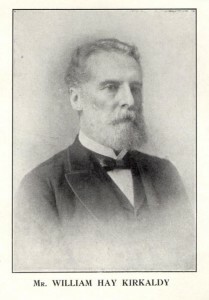 The search for a minister was to prove a lengthy task but in early 1887 Revd William Maxwell, aged thirty-four, a native of County Down, was inducted. Under Mr Maxwell’s leadership Trinity grew steadily and the membership rose to 160 or so. 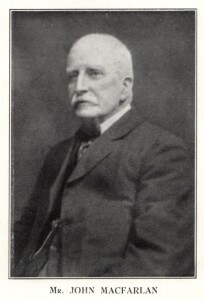 Mr William Hay Kirkaldy was the first Session Clerk and Sunday School Superintendent, and Mr John MacFarlan the Treasurer. A site for a Church was found in Mansel Road and building work started on the hall (now the ‘Old Hall’). The building was finished in May 1886 and the congregation moved there from the Drill Hall. Then, in 1890, work began on the building of the church itself – it was dedicated on 30th April 1891. The buildings – hall, church and organ – cost £8170. Sadly, in September 1894, Mr Maxwell died suddenly of a brain haemorrhage. 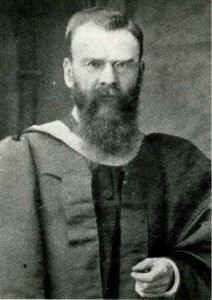 Revd Duncan Campbell Macgregor, a graduate of Edinburgh University, came to Wimbledon from Elie in Fife. Born in 1858, Elie was his first charge and there he met his wife Christina. Trinity’s congregations and membership grew steadily, if unspectacularly. There was a strong ‘Scottish feel’ to the church, many of the members being ‘exiled Scots’. Sunday School was held in the afternoons. The Guild provided a programme of social and educational events. The choir was large and popular, singing at both Sunday services and holding regular concerts. Sales for foreign missionary work were held annually. 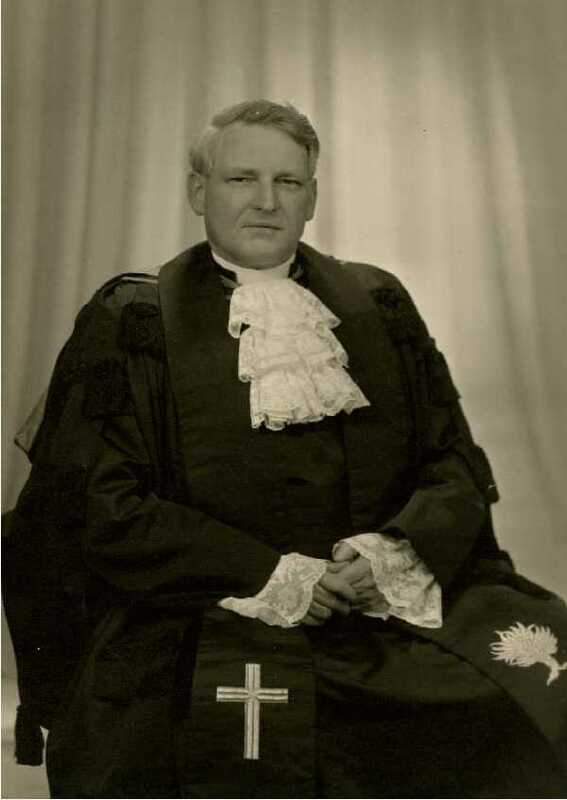 Among personalities in these years were Mr Kirkaldy and Mr F W Hodges, Session Clerks, Mr Charles Love, long-serving Sunday School Superintendent and Mr Herbert Shave, organist and choirmaster. 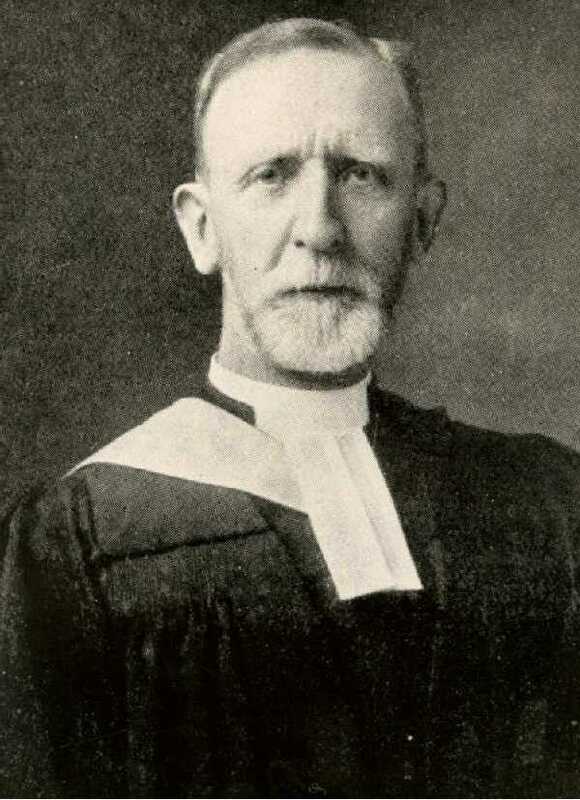 In 1920 Mr Macgregor was elected to serve as Moderator of Synod (later General Assembly) and as his Moderatorial year ended the University of Edinburgh conferred the degree of Doctor of Divinity upon him. A year later, in his capacity as Convener of the Foreign Missions Committee, he travelled to visit the mission fields in China. By 1922 Trinity had reached a ‘membership peak’ of about 340. Over the coming years the congregations and membership were to decline and the Sunday School shrank from over a hundred children to under forty. Dr Macgregor had proved a fine minister but it became clear that a younger man was required. In 1930 he retired at the age of seventy-two, having been Trinity’s minister for thirty-five years. With the outbreak of War men of the congregation were gradually ‘called up’ and by the end of 1914 three men connected with the church had lost their lives. Among those from Trinity who were killed in the War was Ronald Love, son of the Sunday School Superintendent. A memorial was erected in the Church and the Sunday School’s own memorial, a ‘finely carved oak reading desk’ (which is still used every week) was unveiled at a special ceremony. threw the Hall open nightly to the soldiers, who were provided with refreshments and entertainment. Letters of thanks were received from many parts of the world. For further information about those commemorated on our War Memorial see trinityremembers.wordpress.com. Trinity again looked to Scotland for its third minister. Revd Douglas McRitchie, Minister of the High Kirk in Dundee, was inducted in November 1930. He and his wife moved into a house in Mostyn Road, Merton Park. Mr McRitchie was greatly loved by his congregation. Regular systematic pastoral visitation meant he was well known in their homes, and he had a particular love of the children. Congregations, morning and evening, grew rapidly and the membership rose from 346 in 1930 to 449 in 1940. The church was thriving and an accommodation shortage led to the building of an ‘upstairs room’. The Sunday School changed from an afternoon school to meet during Morning service and began to grow. Mr and Mrs McRitchie remained in Wimbledon throughout the War. The Blitz started in the autumn of 1940 and air raids continued throughout the winter months. Many people left Wimbledon for safer areas. In January 1941 it was estimated that about 150 out of 450 members had been evacuated, that a further forty were serving in the Forces and that several others were engaged in ARP or Home Guard duties. Only about eight children remained. The end of the Blitz saw some normality return to church life, except that blackout curtailed evening activities and in the winter months the evening service was held at 3.30pm. In June 1944 the V1 raids began and the exodus from Wimbledon again took place. A bomb fell on the Hill and caused quite extensive damage to the church. The end of the War was celebrated with Thanksgiving services on VE Day, 8th May 1945. 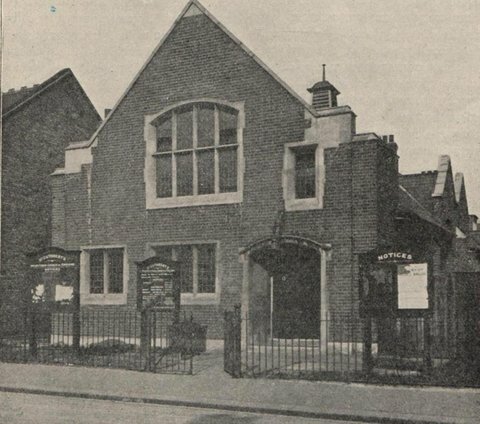 As early as November 1887 Trinity had founded a mission Sunday School in the ‘populous district of South Wimbledon’. Premises were rented in Southey Road and the district was canvassed prior to opening. By the mid-1890s there was a great shortage of accommodation for the growing school and a site was purchased in Effra Road, upon which a hall was built and named ‘St Cuthbert’s’. A Sunday evening service for adults was started and a separate roll of members was kept, the roll containing nearly 100 names by 1914. The Hall was raised to the status of ‘District Church’. There were over 300 children in the Sunday School and there were numerous organizations, for all ages, attached to the church. There were hopes that St Cuthbert’s might become independent of Trinity but that never happened and the church remained under the care of Trinity’s minister and Session. Although the Sunday School remained large and flourishing, the membership fell gradually. In 1956 the decision was taken to sell the building to the Sir Cyril Black Trust. Sir Cyril allowed the use of the building, now to be known as ‘Churchill Hall’, free of rent, and services continued until 1978. The War over, life in Trinity began to return to normal, although rationing made it difficult for people to get to church and difficult to cater for any functions. But Trinity was about to experience the strongest growth in its history. In 1948 a record seventy-seven new members were received and the membership passed 500 for the first time. The Sunday School was growing strongly. In 1949 and 1950 Mr McRitchie’s health broke down and he was forced to retire. He had worked tirelessly for the church and the strain of the War years had taken its toll. Trinity again looked to Scotland for its new minister. 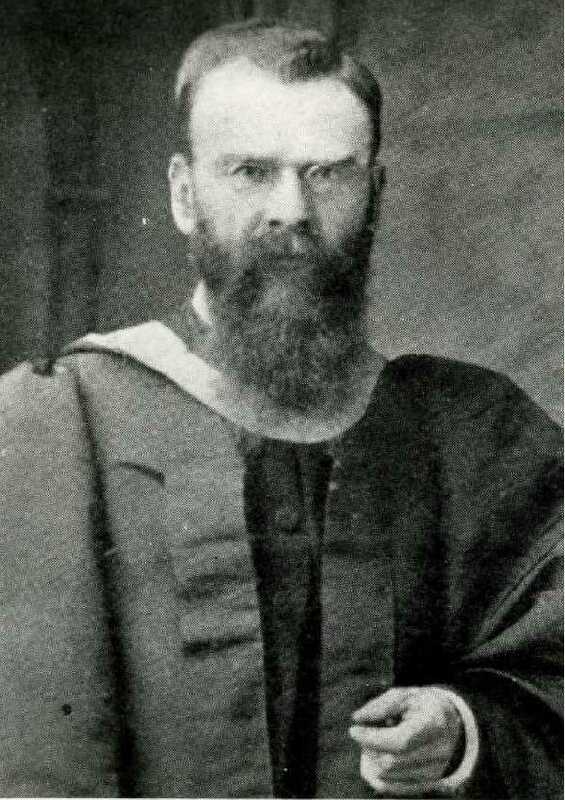 Revd A Wm Bruce, thirty-five year old minister of John Knox Church in Aberdeen, was inducted in October 1951. These were exciting years at Trinity. 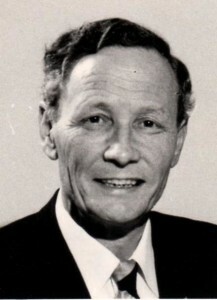 Mr Bruce encouraged the church to become involved in ‘outreach evangelism’ (this was the time of the first Billy Graham crusades) and this, combined with his stimulating services and pastoral care, led to the membership continuing to grow. The Sunday School reached a peak of 140 children and it became clear that the premises were inadequate. The war damage was repaired in the summer of 1954. 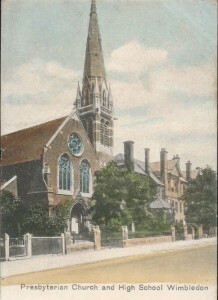 The church was out of action for ten weeks, services being held at first in the High School and later jointly with the Congregational Church in Alwyne Road. The opportunity was taken to refurbish the church, to paint the walls, install new lighting, and to fit new carpets and upholstery. The building was rededicated on 17th October 1954. In 1958 Mr Bruce left for Dumfries. 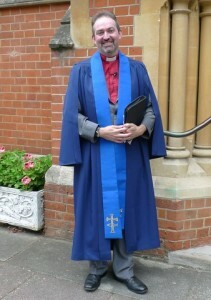 After a seven month vacancy Revd Henry Burns Jamieson, minister of St Andrew’s, Ealing, was inducted. A fine preacher, Henry Jamieson had a keen sense of humour, and a liking for people enabled him to get to know his congregation. Trinity folk quickly took him, and his wife Margaret, to their hearts. Trinity now provided a spiritual base for people from all parts of the world, many of them only in London for a short time. In 1963 a programme of outreach evangelism was organized, leading to a large reception of new members. At the end of that year membership reached 550, a peak never achieved at any other time in Trinity’s history. 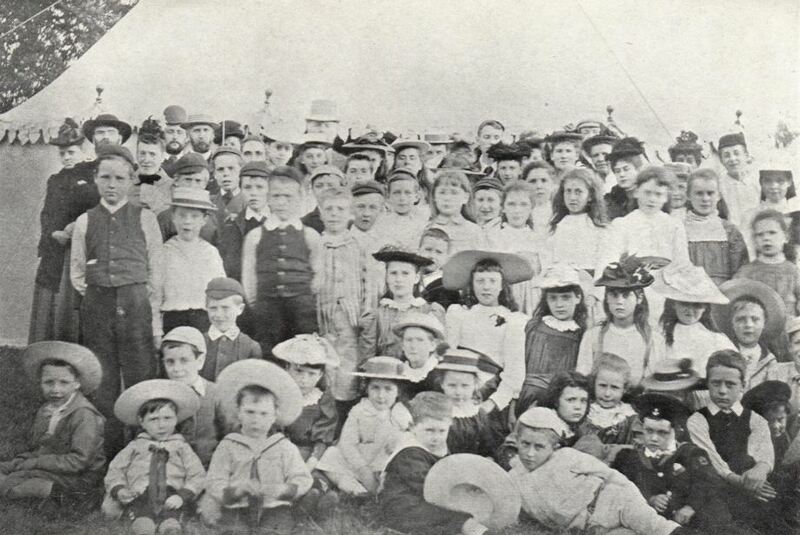 The Sunday School remained strong and there were flourishing groups for young people – the ‘Young Presbyterians’ (or ‘YPs’) and Fellowship of Youth. The shortage of accommodation was overcome by building a set of rooms at the rear of the church, known as the ‘New Hall’ and opened in November 1961. 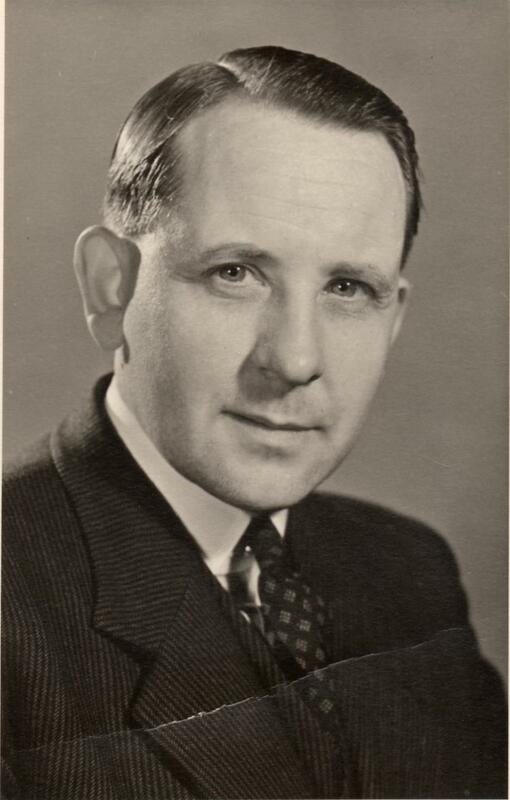 To the delight of the congregation, Mr Jamieson was chosen to be Moderator of the General Assembly 1966-67. At the start of the year he was presented with a set of moderatorial robes by the congregation, and many were at City Temple for the installation of Rt Revd H Burns Jamieson. The year took Mr Jamieson to many parts of the country and beyond. In 1972 the Presbyterian Church of England united with the Congregational Church to form the ‘United Reformed Church’ and Trinity became a constituent of the new Church. In 1973 London Weekend Television televised a morning service live from Trinity. A further week of outreach evangelism led to thirty-seven people joining Trinity at the January 1974 Communion service. Mr Jamieson retired on Easter Sunday 1975. His final service was attended by probably the largest congregation in Trinity’s history. Despite fears to the contrary, the vacancy was to be a short one. 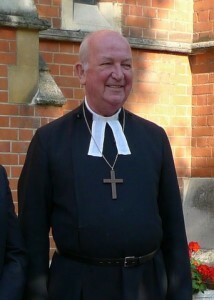 Trinity called Revd John Weller as its sixth minister. An erudite man and an avowed ecumenist, Mr Weller was sixty at the time of his induction but had unique experience behind him and brought this to Wimbledon, working with verve and enthusiasm. A caring pastoral minister, he worked well with all ages of a happy and united congregation, associating particularly well with young people. These were to be busy and stimulating years for the church and, although this was inevitably a transitional period between two long ministries, Mr Weller led Trinity in a programme of self-examination. In 1978 the nearby St Mark’s URC (formerly Alwyne Road Congregational Church) closed and many of its members joined Trinity. As Mr Weller retired, at Easter 1980, the membership stood at 477. 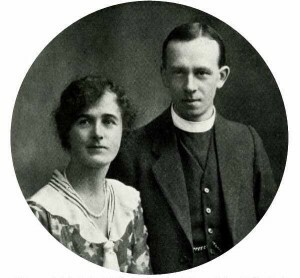 Before Mr Weller retired Revd Ceri Lewis, minister of Chandlers Ford URC and son of Revd D E Lewis, minister at Epsom, had been called to Trinity. He was inducted in June 1980 and with his wife Sue and two young sons he moved into a newly acquired manse in Copse Hill. This was the beginning of a notable twenty-nine year ministry that ended with Ceri’s retirement in September 2009. A link was created with a church in Bad Durkheim, Germany with visits to and from their members. Ceri Lewis and his father led a trip to the Holy Land in 1983. Trinity’s Centenary was celebrated in June 1984 with a reception attended by past and present members at Wimbledon Town Hall and by special services the following day. Former ministers Henry Jamieson and John Weller took part in these services. In 1986, John Hall, one of Trinity’s Elders, completed training for the auxiliary ministry and was ordained. He became Associate minister of Trinity. He had already undergone a heart transplant, however, and sadly he died a few years later. Considerable work was carried out on the church organ and as the result of a bequest a new console was installed. As a result of the same bequest, the chancel of the church was redesigned. In 1993 an ‘Elders Leadership Team’ was started – formed of the leading officers of the church, plus a number of elected Elders. This group served Trinity until 2007 when the ‘Team Leaders Group’ was formed in its place. The main body of Elders continued to meet separately as the ‘Elders Council’. Several series of ‘Trinity Community Concerts’ were held, designed to reach out to the wider community. As in so many similar churches, it was proving difficult to maintain the levels of church membership reached in earlier years but Trinity remained strong and was pleased to welcome members from all parts of the world. The decision was taken to hold Evening services on only two, and later one, Sunday a month and the service was used to experiment with different forms of worship. The Millennium was celebrated with a series of special events including a Flower Festival in May. Trinity welcomed a series of ‘Time for God’ volunteers, and in 2003 Ernest Yu came as Associate minister. Ernest was ordained in Trinity and began fruitful outreach to the Chinese community who met for their own language services on Sunday mornings. In the late ’90s it became clear that the buildings were becoming old and in need of refurbishment. The New Hall in particular was long past its useful life. The church therefore began to plan a redevelopment of the buildings behind the church which, after much planning and frustration, finally included new buildings and a refurbishment of the Old Hall. The new development was officially opened by moderator Revd Nigel Uden in November 2007. A considerable amount of the total cost of about £1.7m was raised by Trinity members. During the peak of the building work services were held in the Great Hall of Kings College School. Sue Lewis became seriously ill, and all at Trinity shared Ceri’s loss when she died in August 2008. Ceri retired a year later, in Trinity’s 125th year. He moved to France and then returned to his native South Wales but sadly died, after a short illness, in January 2014. 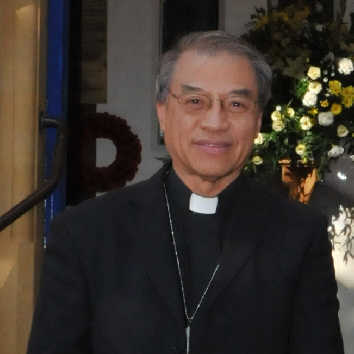 Ernest was ordained at Trinity in 2003 with a ministry to the Chinese community. He continues as our much-loved Associate Minister and has built a lively Chinese congregation which meets separately during the second half of the Sunday morning service. During the vacancy Synod appointed Revd David Marshall-Jones to act as Interim minister and Interim moderator on a “40%” basis. In many ways this was a useful time for Trinity to consider its position and future. An elected Elders’ Council was formed, the other Elders continuing to meet monthly before Communion services and at an annual Elders’ conference. Just before Easter 2012 Revd Dominic Grant, minister of Crowborough United Church and Wadhurst Methodist Church, was called to be Trinity’s eighth minister. In September 2012 he was inducted to the charge. Dominic, Miriam and their son Matthew, moved into the manse which had been completely renovated during the vacancy.